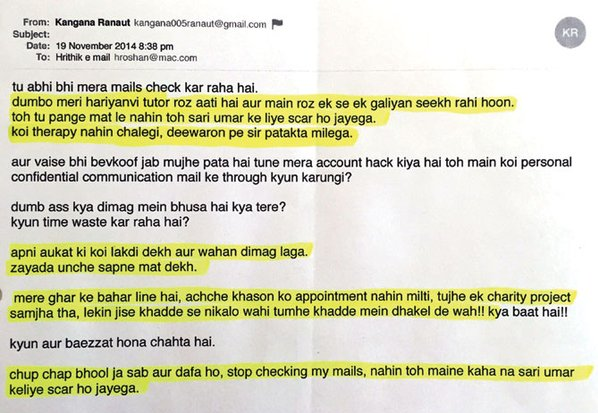 One more email shared by a fan club of Hrithik Roshan, has the actress threatening Hrithik with Hariyanvi gaalis! 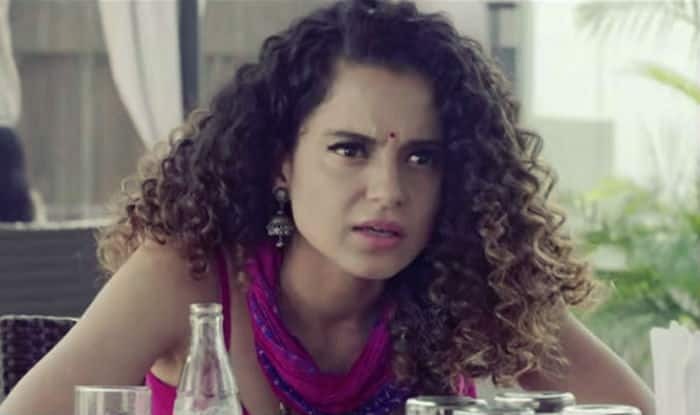 Kangana Ranaut and Hrithik Roshan‘s legal tussle is getting uglier and messier by the day. If slapping cases on each other weren’t enough, the emails that the actress apparently sent to Hrithik were leaked which created a storm. Last week, the emails went public when DNA published them. Since then, newer facts are coming to light with such rapidity that the whole thing has turned pretty strange. One more email shared by a fan club of Hrithik, has the actress threatening Hrithik with Hariyanvi gaalis! The actress seems pretty pissed with Hrithik and ranted about it too. She apparently even called him a ‘charity case’ in this email.